Levan Dolidze is leader of the project Civil Montoring for Accessibility of Information. What is the internal political situation established in the country since the Rose Revolution? How much competition is there between political parties, and what are the threats and challenges in the pre-election environment for the parliamentary elections scheduled for October of 2012? The Rose Revolution government managed to achieve many successes in a short period of time. 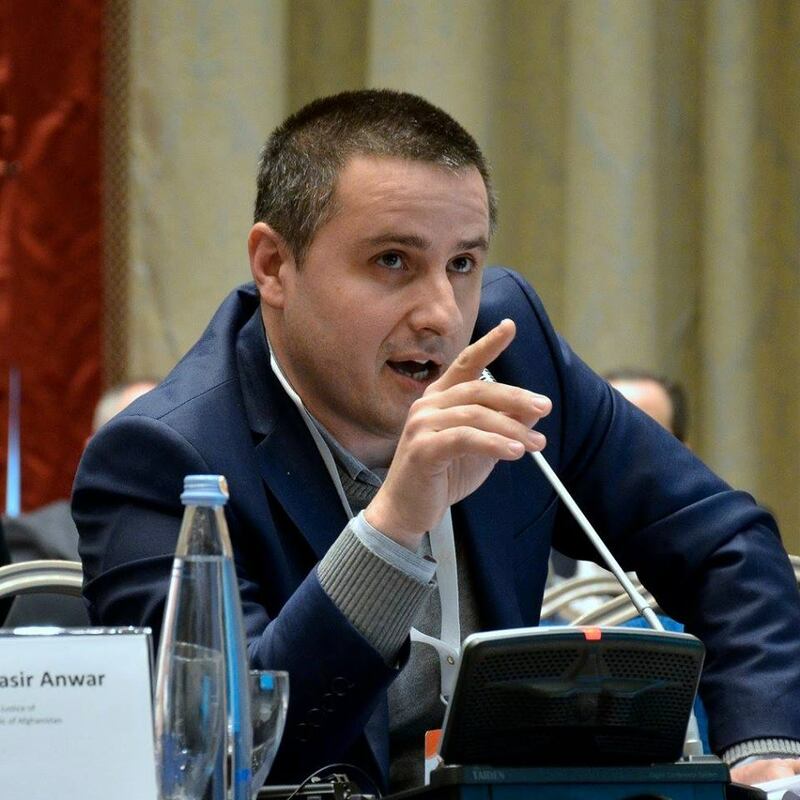 The political team consisting of young leaders defeated low and medium level corruption and organized crime; they significantly increased tax revenues, strengthened the overall capacity of law enforcement institutions and swiftly and painlessly restored constitutional order in the Adjara Autonomous Republic. The country also achieved significant results in the registration system (public and civil registries) in terms of providing high quality services; as a result Georgia became an exemplary state for Central Asian and South Caucasian countries. These successes were not accompanied by the same positive dynamics in the process of building democratic institutions in the country. After the Rose Revolution the ruling political party United National Movement (UNM) centralized governmental power through many constitutional amendments and under the pretext of bringing “order” strengthened its control over the judiciary; furthermore, the government repeatedly violated the principles of rule of law and equality before the law. It was evident that the UNM steadily and consistently acted in order to resolve “first and foremost issues” (defeating corruption, restoration of territorial integrity etc.) but the strengthening of democratic institutions was viewed as the next stage in the country’s development. Due to factors similar in characteristic to the post-revolutionary period, the government’s unlawful actions were followed only by fragmentary and non-systemic responses from the civil society. At the same time the frequent deviations from modern democratic principles on the part of the authorities were often justified by peculiarities of a social preconditions theory, preference of modernization and existing internal and external threats. Up until the autumn of 2007, the ruling party faced nothing more than a weak political opposition, but due to painful reforms, social hardship, discontent resulting from unlawful actions of law-enforcement bodies and scandalous statements made by the former Minister of Defense (close friend of president Saakashvili), the oppositional forces managed to mobilize their supporters and organized large-scale protest rallies, which were followed by harsh responses from the government. The authorities associated the existing protest with the threat coming from Russia and dispersed the protesters gathered outside the parliament building. The government also raided and closed private oppositional TV station (TV Imedi). The government had to overcome many crises from 2008 till October 2011 as well, but through successful use of political technologies as well as controlled media and politicized police units, the ruling party always managed to gain the upper hand in the rivalry with its political opponents. In that regard it’s noteworthy to add that the occupation of Georgia’s territories by the Russian Federation in August 2008 significantly damaged the state’s social-economic situation and had a negative impact on the expectations existing inside the country towards the authorities in terms of swift restoration of the country’s territorial integrity (in December 2007, during the presidential pre-election campaign Mikheil Saakashvili promised the IDPs from Abkhazia that they would be returned to their homes next year). Despite this, the UNM managed to direct the subsequent political processes in its favor and fully retain the power both at the central and local levels. Regardless of the problems existing in connection with political competition and rule of law, Georgia managed to strengthen its political support from the western powers and gain the status of a beacon of democracy in the region. This was largely due to the geopolitical location of the country and therefore the established practice of comparing Georgia with other countries once a part of the post-Soviet region was born. It should be noted that as far as adherence to development of democratic institutions and liberal values was concerned, Georgia has always been positively distinguished from other countries in the region (except for Baltic States). At the same time the Rose Revolution government appeared to have excellent skills for advertising its achievements, which along with the government’s declared foreign policy aspirations positively impacted the government’s relations with the political West. The progressive country profile and successfully conducted reforms including significant simplification of procedures necessary for launching a business were unable to bring about essential improvement of social conditions in the country due to the government’s influence on the judiciary and pressuring of businesses. Based on the data from the National Statistics Office of Georgia, the level of unemployment in 2008 reached 16.5% (in 2011- 15.1%). Furthermore, according to data provided by Social Service Agency of Georgia in December of 2011, 36.5% (1 632 403 citizens) of population demanded the status of a person living below poverty level from the government. 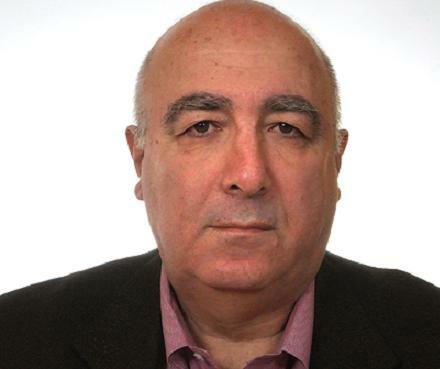 The decision of Georgian billionaire Bidzina Ivanishvili famous for his charitable activities to step into politics in October of 2011, posed significant difficulties for the ruling political elite. For years Bidzina Ivanishvili was funding the country’s security institutions (Ministries of Defense and Interior) and various infrastructure projects initiated by the government; he also funded well known representatives of science, sport, culture and art; beyond that, he also allocated ample amounts of money to aid in building new churches. Because of this, Ivanishvili garnered sympathy and support from a considerable portion of the population. As a result of Ivanishvili’s appearance in Georgian politics the ruling party was threatened by the system of direct use of finances to influence voters’ decisions, created by the UNM itself. Namely, the government was always using and still uses state funds for initiating various social projects (temporary employment for students, distribution of vouchers for payment of utilities charges etc.) during the pre-election period, which strengthened the harmful practice of giving special priority to finances during the pre-election period. Hence, the emergence of a billionaire in Georgian politics and his potential to balance (neutralize) the financial resources of the authorities, while the Georgian population experiences social hardship, made the effectiveness of one of the main “political” instruments of the authorities doubtful. It should be noted that despite some mistakes, especially at the initial stage of his political career, Bidzina Ivanishvili managed to convert high regard and strong support towards his persona into tangible political capital, which is evident in his increasing political ratings. The authorities’ reaction towards Bidzina Ivanishvili’s decision to become an oppositional politician was no different from the tactics used by the UNM towards other political opponents in previous years. The only difference is in the forms and scale. As in previous cases the authorities again accented the dangers coming from Russia and the financial capital garnered by Ivanishvili in Russia. Moreover, the ruling party also resorted to many aggressive measures directed against its political opponent that are incompatible with political pluralism and democratic principles. President Saakashvili stripped Bidzina Ivanishvili of his Georgian citizenship, government cited Ivanishvili’s acceptance of French citizenship in 2004 was in violation of Georgian legislation. This decision was followed by heated debates between the experts in the corresponding field during which the ruling party found it difficult to prove that this decision had nothing to do with Ivanishvili’s political aspirations. It’s noteworthy to add that Saakashvili’s decision was deemed as a serious mistake even by some experts supporting him. Also, members of Ivanishvili’s political team as well as his supporters have been politically persecuted by law-enforcement bodies since the day Ivanishvili announced his political plans. The authorities opposed Ivanishvili’s financial resources with strict legislation and special service created only to control those resources. 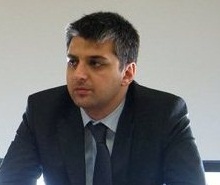 The need for creating additional regulations for controlling the financial flow in Georgian politics really existed; however, the ruling party adapted these legislative norms in its own interests and used them mainly against Ivanishvili. According to authoritative nongovernmental organizations operating in Georgia (Transparency international – Georgia, Georgian Young Lawyers Association, International Society for Fair Elections and Democracy), “activities of state agencies during the pre-election period are clearly biased and focused on oppressing oppositional parties, especially the main opposition coalition”. According to the same reports, “the intensity and scale of activities carried out by state institutions towards the political parties are unprecedented”. The government’s activities in terms of ensuring distribution of diverse information and freedom of expression bare significant importance in the process of evaluating the state of political pluralism in Georgia. In particular, instances of pressuring the representatives of Bidzina Ivanishvili’s spouse’s newly established TV Company (TV9) and news agency Info 9 have intensified recently, and finally the authorities’ response towards those facts being clearly inadequate. Also, on the one hand the ruling party made a positive decision by taking into account the recommendations of nongovernmental organizations along with western partners and adopted the law on mandatory transmission of TV broadcast (Must Carry principle), which obligates the cable networks to transmit the signals of various TV companies. But on the other hand, the authorities seized satellite dishes belonging to a TV company, which has a critical attitude towards the government, without any legal grounds. That move significantly limited the means of spreading diverse information throughout the Georgian regions. Despite the government’s attempts at balancing the steps that are incompatible with a fair pre-election environment with certain positive moves the situation existing in the country does not create any expectation of elections being conducted in a free and fair manner. The authorities are facing the strongest rival it has ever dealt with, which exposes many of their non-democratic habits. Therefore, representatives of the relevant civil sector institutions, unlike the previous elections, voice their concerns over the uneven playing field existing in the country and related threats more loudly. The ongoing pre-election campaign is being conducted in a very tense atmosphere. The attempts at hampering pre-election meetings of Ivanishvili’s coalition members in Georgian regions and instances of violence directed against them are a matter of particular concern, these acts of violence are perpetrated by public servants employed in local self-government bodies as well as well organized supporters of the ruling party. In this case the authorities use well tested tactics and react to the violations of law in order to show their neutrality; however, it’s clear that the authorities show lenience towards the perpetrators of such violations, which is considered as a “green light” for similar actions in the future by supporters of the ruling party. The imbalanced statements made by President Saakashvili about his main political opponents (BidzinaIvanishvili and members of his coalition) also do not encourage lessening of tensions. The President often calls them Russian-funded political entities, who try to serve Russia’s interests in Georgia. Moreover, during his visit to one of the regions that suffered from the Russian embargo (Kakheti) Saakashvili indicated that in October 2012 he will be facing Vladimir Putin rather than any Georgian political party. In general, the President often associates his main political opponents with the country’s enemies. Connecting the plans and actions of political forces to external political threats (whether those allegations are founded or unfounded) as well as hateful speech are characteristics of contemporary Georgian politics; however, the fact that the President constantly accuses his main political opponents of being the country’s enemy, especially when the political rivalry often transforms into physical confrontation between citizens, is a danger to the country’s stability. Calling political opponents enemies and traitors in the 90-ies was followed by civil confrontation. Therefore it’s important for political leaders to realize the mistakes made in that period in order to fulfill President Saakashvili’s proclaimed goal – Georgia should never return to its past! Connecting the threat coming from the Russian Federation and the elections scheduled to take place in Georgia with each other is quite logical, but the only correct way of avoiding that threat is to conduct fair elections and prevent internal political destabilization through that process. The security measures attributed to the Russian threat, often expressed in limiting access to information and political activities, actually encourage destabilizing factors and is a threat in and of its self. The October 2012 parliamentary elections are also being closely observed by Georgia’s western partners. Georgian authorities received a lot of messages from the USA, NATO as well as the European Union. According to which Georgia’s European and Euro-Atlantic integration depends significantly on freely and fairly conducting the 2012 and 2013 parliamentary and presidential elections, which must provide democratic transfer of power. Today Georgia stands at the crossroads which lead to achievement or failure. If the country manages to conduct fair and democratic elections it will be a significant step forward, which will pave the way for Georgia to move away from a post-Soviet regional beacon to the political West. That way the country will be able to create preconditions for sustainable development and approximation with European and Euro-Atlantic institutions not only through symbols and bureaucratic standards but through transition of power as a result of elections, which is an established practice in democratic states. Otherwise, the country will find it difficult to distance its self from being held in a political orbit of the post-Soviet region and Georgia will not be able to preserve and develop many important successes it has already achieved. In that case, the “beacon”, which is a symbol of Georgia’s democratic image in the post-Soviet region, will most probably be transformed into a Soviet style wick-lamp, which may still have more light than many other post-Soviet countries, but it will be less visible to the West. Despite how close the elections are there’s still time to come to an agreement on conducting the elections in peaceful and free environment through certain agreements between the parties. Hence, the government should take certain steps in order to conduct corresponding negotiations, which will avert all possible threats. The parliamentary elections of October 2012 are considered as litmus test for the country by friends of Georgia. It is up to us the Georgians to pass it! Lawyer, leader of the project Civil Montoring for Accessibility of Information. Previously Executive Director of the Levan Mikeladze Foundation.